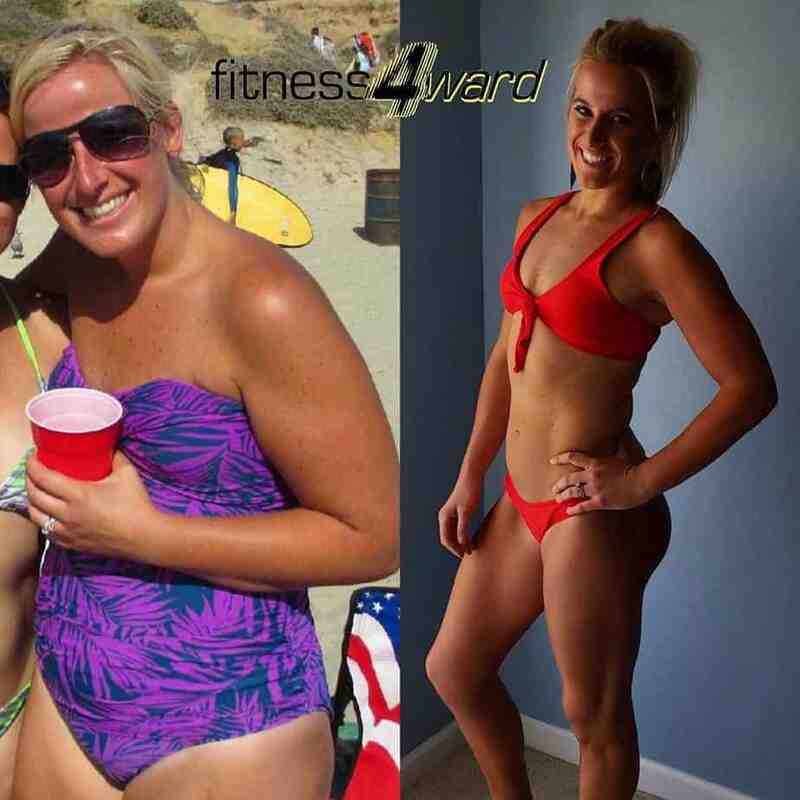 “Before starting fitness4ward I was never comfortable in the gym which led to me never going. I had no idea how to use the weights and machines so I figured I would try out some places to workout. I did boxing and had a personal trainer, but both of those didnt work out as I didnt feel like I was challenged enough. I found Fitness4ward when I was searching for places to workout and decided to try it out for a month. I loved every workout and I always felt that I was being challenged and pushed. Not only do we workout but we are taught a lot about form and technique which helped me move past my limits. 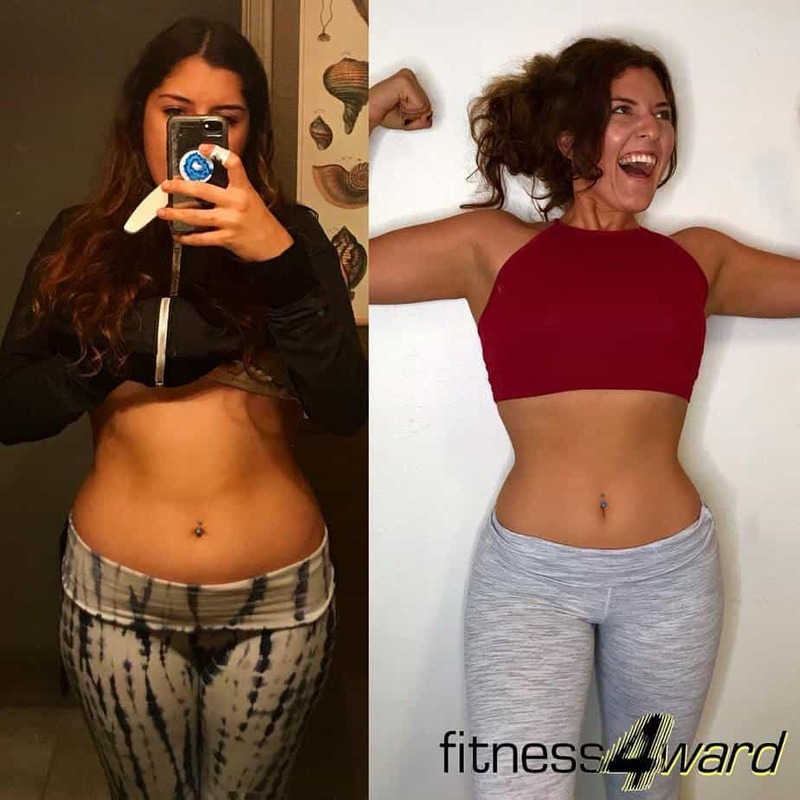 Included in the program was a lot of nutrition coach and one on one help which was amazingly helpful in making me feel better, more energized, and helped me drop the unwanted fat. I love this place! Coming to fitness4ward is one of the best parts of my day. I always look forward to the workouts as they are always so different and I feel like I learn something new each day I go in. This place has helped me grow so much in my fitness journey that when I look back at the “old” me I cant believe how far I have come along. I have been here for about a year and a half and I still go in excited to push myself and work with the other members. The environment is always fun and engaging and the trainer Jon is very attentive and helpful. 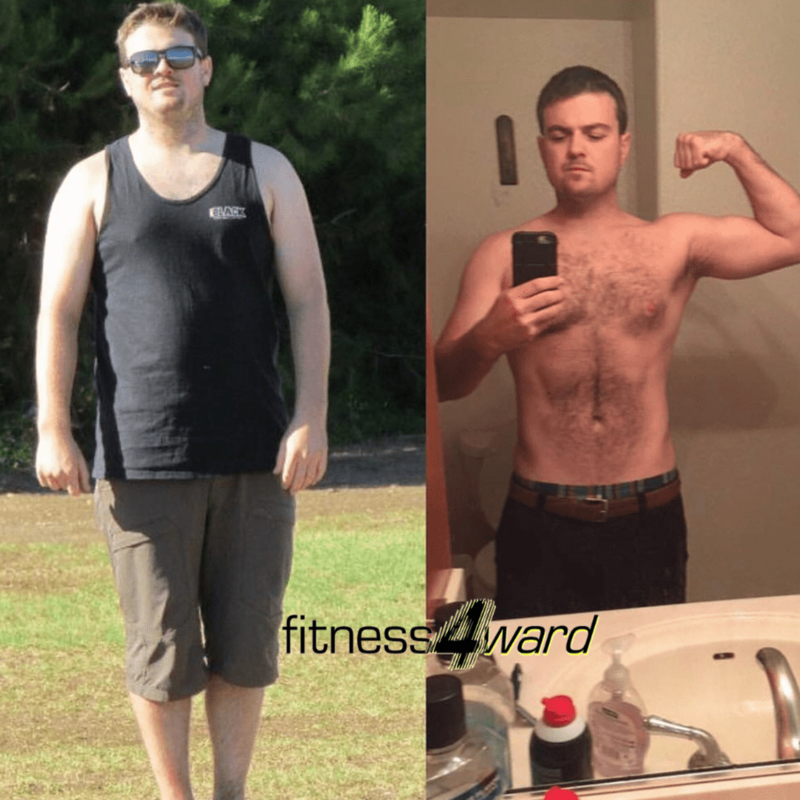 ” One year ago to date, I walked into a gym unable to do a single proper push-up. I was out of breath running , I had never used a TRX band in my life, hadn’t picked up weights in forever, and sucked miserably. I had tried it out, and I was ready to move on and never come back. But with the encouragement of my friend, I forced myself to get through at least 3 days. 3 days turned into a week, into a month, to 3 months and so forth, sometimes even twice a day. Did I always feel like coming? No. Did I have bad days where I wanted to give up? Yes. Many times I thought I looked exactly the same. But, I had a goal in mind, and I had decided I would be relentless in my pursuit. My “WHY” drove me to show up everyday. I didn’t know what I was doing, and some days I still don’t entirely know lol. But, I failed my way through every exercise because I knew one day, if I kept at it, one of the times I go to try, I’d be able to do it. These photos are difficult to post and definitely makes me feel vulnerable, but maybe my vulnerability can offer someone else a bit of strength or hope. Anytime anyone asks me how I did “it” (which, I have yet to attain my goal) The one thing I always say is be consistent, and never give up (original, I know. But oh so true.) If you eat bad or miss a day or don’t do as well as you thought you should’ve, don’t beat yourself up and just move on and try again, and again, and again. Results speak the truth period. There’s no getting around it, and that was the hardest challenge to face. However, being brutally honest with myself allowed me to address what I needed to do, and what I was doing wrong whether it made me feel good or not. It’s been a hell of a year/journey and it is forever a work in progress, but I loved every second of it and am proud because I worked hard to get to where I am. A year ago I had no idea where I’d be a year from then, but as they say, the best way to predict the future is to create it. Thanks to all of the amazing, and inspiring people I’ve met and who’ve helped push me to be better along the way! Year 2014 when I hit my heaviest weight, 220 pounds! That’s when I realized I can’t live like this any longer. I have a child and I have to stay active and healthy for him. 2014, the year I met @jonchapetta at@fitness4ward.sd . He helped me achieve my goals, coach me, and pushed me. Although I must say that the journey is not at all unicorns and rainbows…it’s pure HARD WORK! Through the years, I get to value the true meaning of “NO EXCUSES”. I am doing this for me! Trust me, there are days when I just want to pig out, lay on the couch all day, and think that whatever I’m doing is pointless. Year 2014 when I hit my heaviest weight, 220 pounds! That’s when I realized I can’t live like this any longer. I have a child and I have to stay active and healthy for him. Through the years, I get to value the true meaning of “NO EXCUSES”. I am doing this for me! “For as long as I remember I have always hated my body image. I was depressed, self loathing, and self hating. But I constantly had an excuse to try to justify my situation. I would do a 6 week program and then move on to the next one. I never got the feeling that they actually cared about me and my goals. They just wanted another paying customer. I didn’t learn anything or was told why I was doing certain exercises. I never stuck to a program so I never kept the weight off. It always came back. And I would hate myself again. 🔹It wasn’t until I happened to find @fitness4ward.sd through Groupon. I vividly remember having my first sit-down with @jonchapetta. He asked me what my situation was, what my goals we’re and if I was willing to do what it takes. He listened to me and guaranteed me that he would help me reach my goals. 🔹 And since then I have stayed with him and his boot camp. 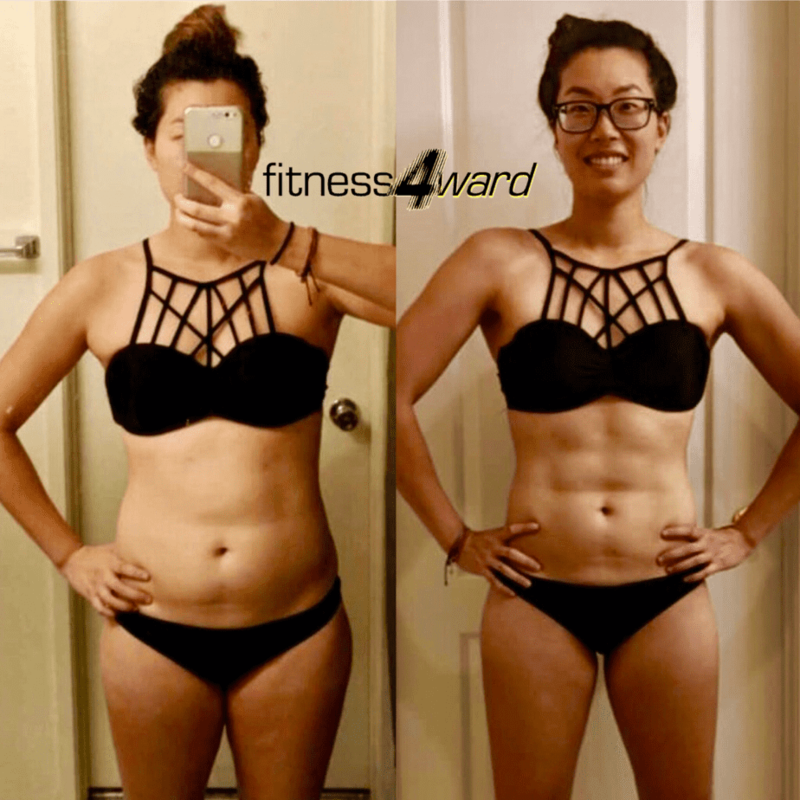 “Since i started at @fitness4ward.sd I’ve lost 40 lbs and 1/5th of my total body fat percentage, the workouts are intense and full of challenges, what i like the most about Fitness4ward is that every day we focus and target on a different muscle group which gives us more understanding and knowledge about how to transform our bodies! Jon is such a great trainer, i am lucky to have found this place and glad to come here everyday and work hard for my goals! 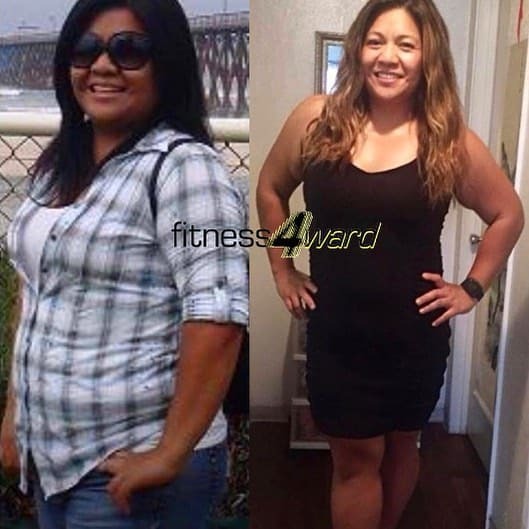 “Since i started at @fitness4ward.sd I’ve lost 60 pounds, it has been a journey of ups & downs but NEVER GIVING UP! 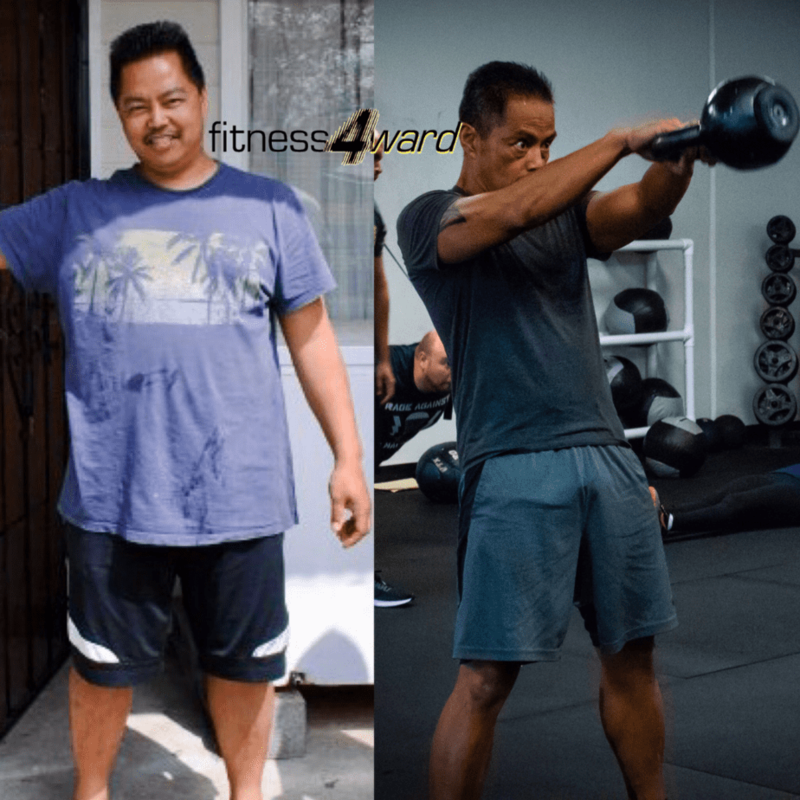 Jon Chapetta really changed my life, he supported me the whole way with his nutrition insights, challenging daily sessions and encouraging emails and talks.. I will never look back, i’m the healthiest ,strongest, happiest i’ve been in my whole life and i owe it all to my second home Fitness4ward! I don’t ever see myself not coming here, it has been the best decision of my life and the only regret is not have started sooner!